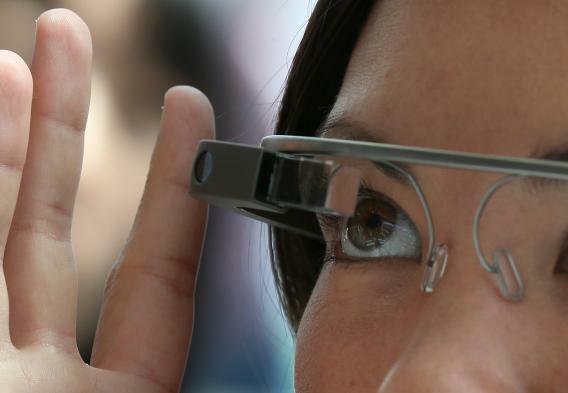 The U.K. is already worried about drivers wearing Google Glass. An attendee tries Google Glass during the Google I/O developer conference. Drivers caught wearing Google Glass behind the wheel won’t escape the long arm of the law in the United Kingdom. The U.K.’s Department of Transport is already working with police to prevent use of Google’s augmented reality display on the road—even though the device won’t go on sale for most people until 2014. The U.K. move to block use of Google’s smart glasses while driving comes in addition to existing penalties for using mobile phones without hands-free accessories, according to ZDNet. It’s unclear whether the head-mounted glasses would fit under the existing law or a new law, but the U.K. already plans to raise fines for careless driving behaviors from £60 to £90 (about US $91 to $136). Only U.S. members of Google’s Explorer program can currently buy the $1,500 Explorer edition of the smart glasses. U.S. lawmakers in West Virginia have also aimed to block use of Google Glass among drivers in their own state legislature bill, but won’t likely pass the bill until 2014. Presumably any laws banning Google Glass would also extend to similar head-mounted smart glasses being developed by many other device manufacturers. Both lawmakers and researchers may also want to consider the possibly distracting effects of augmented reality displays being developed for the windshields of cars—something not all that different from Google’s smart glasses. Allowing cars to have windshield displays showing emails or text messages might be just as bad as wearing smart glasses. Given the current limitations on the human brain’s attention capacity, drivers may not be able to safely enjoy their mobile and wearable computing devices until Google’s other big project—self-driving robot cars—takes off.